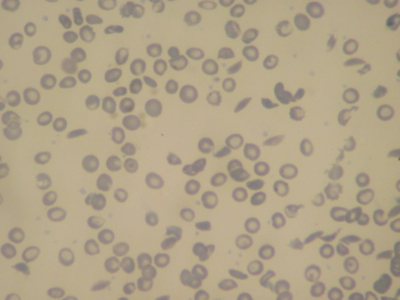 The three photomicrographs above show sickle cells from a patients with sickle cell anemia. Sickle cell anaemia occurs because an A→T substitution in codon 6 of the β globin chain of haemoglobin. The single nucleotide polymorphism results in valine substituting for glutamic acid resulting in the formation of haemoglobin S (HbS). 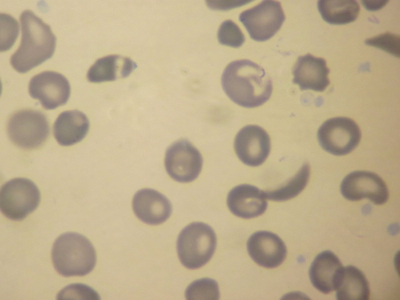 HbS crystallizes in hypoxic conditions resulting in sickling of erythrocytes.